Manager Dan Nolan, Assist. Manager/Player Caoimhe Logue and team captain, Shannon Dunne travelled to Windsor Park yesterday evening to the launch of the Danske Bank Women’s Premiership. All eyes are on the League opener between Derry City Ladies FC and Linfield Ladies FC, 18th April @ Brandywell Stadium K.O 8pm. To keep up to date with the Derry City Ladies, be sure to give them a like on Facebook here. 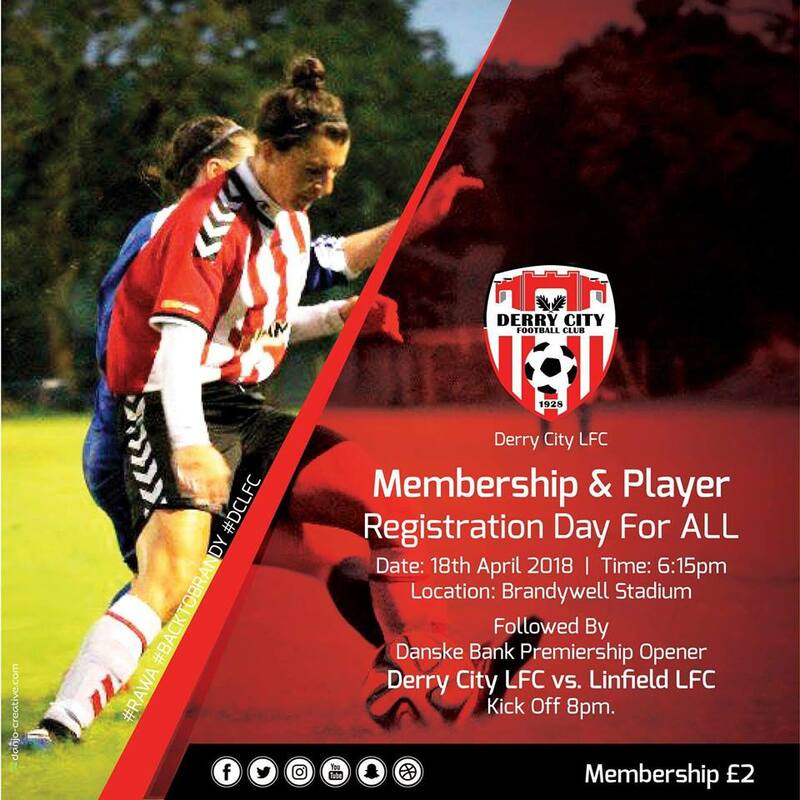 The Ladies’ Membership and Player Registration Day is on the same evening of the 18th also at the Brandywell Stadium from 6.15pm. This will be followed by the match. The Ladies’ Junior Academy is open to girls of all abilities born 2009 and older. Please bring the following with you on the day: One passport sized photo, medical information and full contact information.